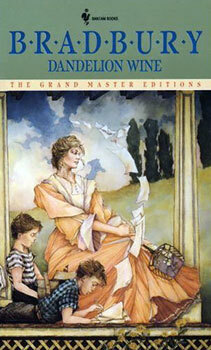 Dandelion Wine – Chapters Fifteen and Sixteen - Jimmie Aaron Kepler, Ed.D. Chapter fifteen and sixteen concerns a “Season of Disbelief”. Mrs. Bentley, a seventy-two year old woman who saves all memorabilia from her past, finds her beliefs challenged by two girls named Alice and Jane, who meet her along with Tom and don’t believe her when she says that she was young like them once. Claiming that she’s lying, they run away laughing, leaving Mrs. Bentley infuriated. The next time they meet, Mrs. Bentley shows them some of her relics, including a photograph of her as a child. Alice and Jane say that the objects don’t prove anything, since she could have got them from another girl, and Mrs. Bentley’s insistence that they will one day be old like her fails to unnerve them. They run away with her “stolen” possessions, further shaking Mrs. Bentley’s confidence in the authenticity of her childhood. As she sifts through her memorabilia, she hears the voice of her husband speaking to her, explaining that the items don’t really belong to her because they came from the past, not from the present she is living in now. Even affidavits wouldn’t change the fact that she’s no longer the self that the saved clothes and pictures were meant for. In a following chapter, Tom later tells Douglas of his revelation that old people never truly were young, which Douglas writes down in his tablet.